Photo credit: Product pic from Nomorerules.net. u bought me br-2! 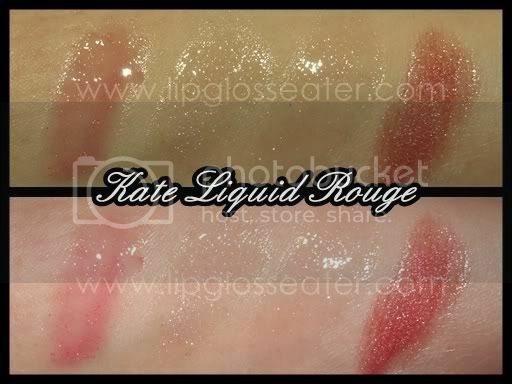 but honestly lor, i dun think i wan buy this gloss on it's own unless got sales la. Hahaha... seems like alot of you think that way! I have something like BR-2... But it's from Silk Naturals! New series? The ones I saw have silver packagin... Adambeauty selling them for about S$18. Mm... yah, nothing special. Also... discovered this Japanese brand Sweets-sweets lipgloss. Suppose to have won a lot of magazine awards. Only about S$8... but I'll have to order from Japan!